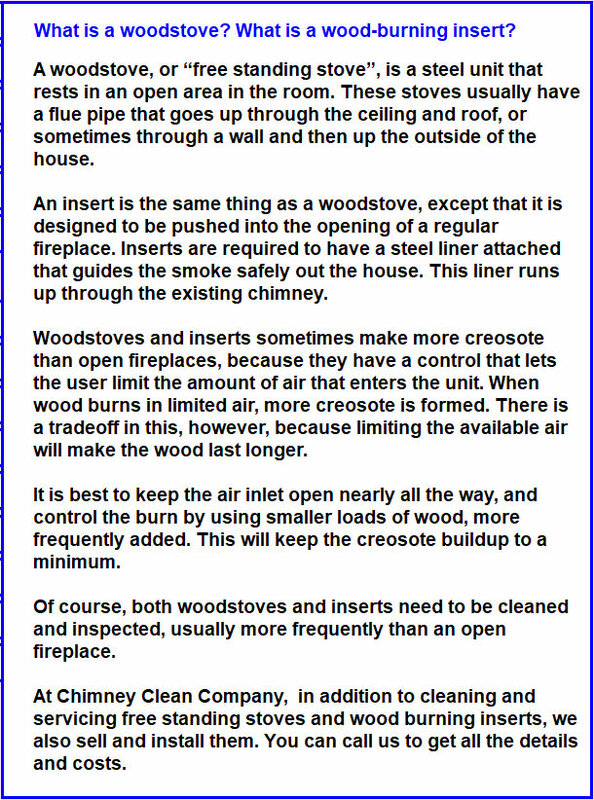 What is a woodstove? What is a wood-burning insert? At Chimney Clean Company, in addition to cleaning and servicing free standing stoves and wood burning inserts, we also sell and install them. You can call us to get all the details and costs.